Any grown-up or kid who was born and raised during the 1990s knows what "Invicta" is. This brand was founded in 1906 in the United Kingdom and started producing sacks for the navy and jute bags. In 1926, a Turin-based Italian craftsman takes over the company and soon attracts attention for its professional and technical accessories, like ski gloves and hiking backpacs, creating modern, outstanding quality accessories. 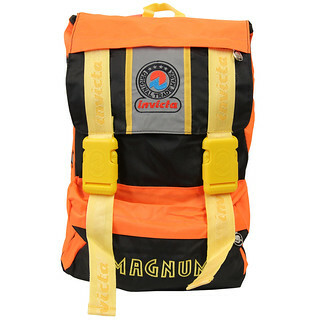 In 1933, Invicta first introduces a backpack with internal frame. In 1939, they design and patent the first waist pack. Soon enough, Invicta registers 12 utility patents for bags, belts and suspenders. 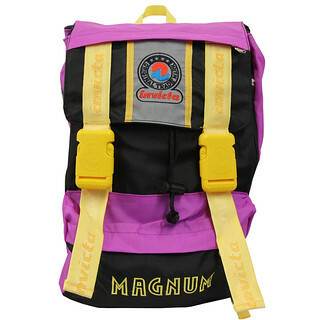 Yet today Invicta means backpack. Launched in 1981 in Milan, the first model "Jolly" has been nominated one of the '90 Italian icons by the Italian Encyclopedia Treccani. 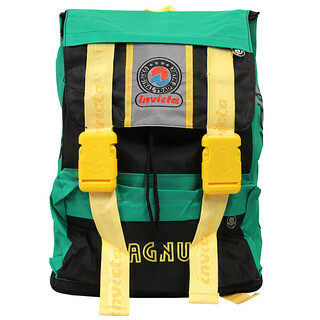 Though it is initially used by the youth movement of "paninari", in the 1990s the Jolly backpack turns into a status symbol for teenagers all around the world. It reflects a free-spirited way of life and follows us through the most beautiful 1990s holidays, to the mountains or to the beach, always travelling with us. 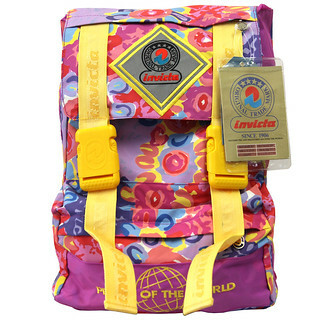 Today like yesterday, wearing an Invicta backpack means opening yourself to life opportunities in a festive, colourful celebration, keeping yourself young at heart, feeling excited for the start of your journey, where any direction is possible. Here at A.N.G.E.L.O. Vintage Palace we care about your summer. Bring every single moment with you stylishly - pick up an original Invicta backpack at our boutique and at our online store.